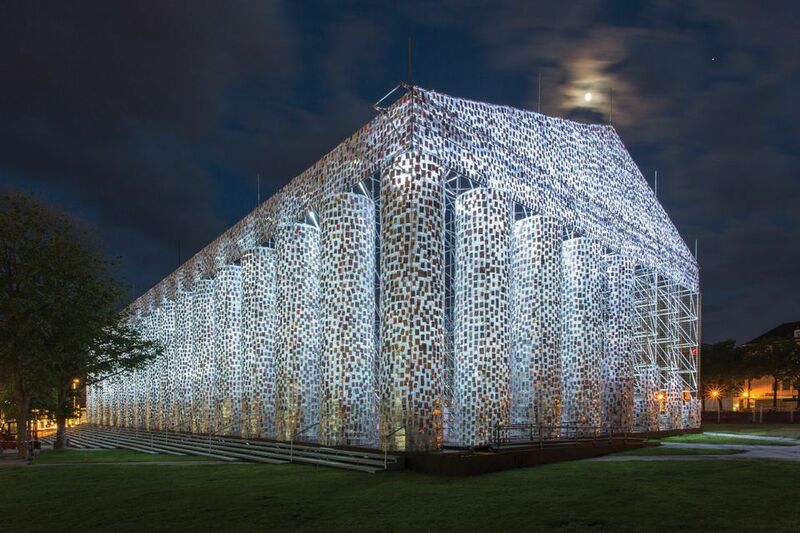 A final audit has revealed that the deficit caused by overspending in the 2017 edition of Documenta, the contemporary art exhibition that takes place in the German city of Kassel every five years, is more than €2m wider than originally calculated, according to a statement from the company that manages the event. The shortfall, now calculated at €7.6m, will be covered by the shareholders in the company—the city of Kassel and the state of Hesse—with each bearing half the extra costs, the statement said. For the first time in Documenta’s 63-year history, the 2017 edition was spread over two locations; Kassel and Athens. Overspending in Athens caused the budget shortfall and forced the shareholders to step in with emergency loan guarantees last year. Adam Szymczyk, the artistic director of the 2017 edition, complained that the €37m allocated—of which half had to come from sponsors and sales of tickets and merchandise—was inadequate, and that Kassel’s infrastructure was unable to cope with increasing visitor numbers. Last year’s edition drew a record 891,500 visitors in Kassel and 330,000 in Athens. The shareholders agreed to beef up the budget for the next edition, “with an eye on artistic needs as well as general increases in costs and greater demands in terms of security, sustainability and visitor services,” the statement said. “All in all, after a brief period between rough waters and lulls, as can happen on any sea journey, the ship is now back on course,” said Christian Geselle, the mayor of Kassel and chairman of Documenta’s supervisory board. Documenta will also have a new controlling mechanism to monitor spending and a new communications and marketing department. The artistic director for the next edition of Documenta is to be appointed early next year. An eight-member selection committee has short-listed ten candidates who will be asked to present their concepts, said Sabine Schormann, the new managing director of Documenta, in an interview with the Augsburger Allgemeine newspaper.